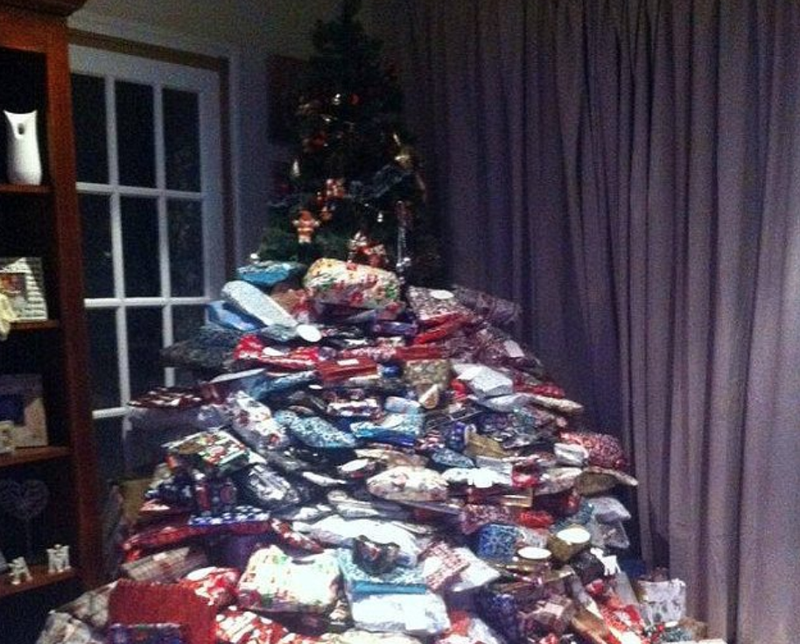 A mother has been branded selfish and disgusting for buying her children a mountain of Christmas presents that have swamped her tree. Emma Tappings Christmas tree / Instagram. After being lambasted on social media the mother of three h said that 'nobody is going to change my mind' about the Christmas gifts for her kids. 38-year-old Emma Tapping from the Isle of Man, who has previously spent more than £2,000 (roughly R40 000) on gifts for her children - has come under fire from social media users who called her 'selfish'. The mom of tree faced criticism over the hoards of presents in previous years but once again shared a picture of the huge pile of presents to her Instagram followers. One commenter called it 'disgusting' but she has said that 'nobody is going to change my mind' about the gifts. Another follower added: "So many people have nothing you should donate them. Personally, I think this is ridiculous who needs this many it’s just selfish." Is there such a thing as too many gifts for Christmas. Share your thoughts below.